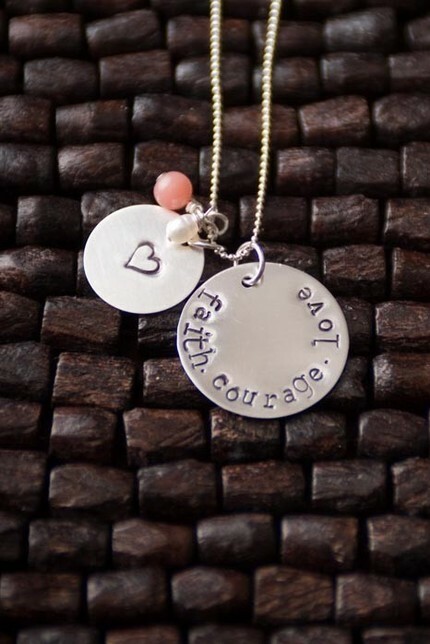 If you haven't already, please enter my giveaway for this beautiful, handmade, sterling silver pendant, FAITH COURAGE LOVE, from the r house couture. And check out their site for other inspiring jewelry. the r house couture began as a way for Mrs. R - the r house - to make money to help pay legal fees for the contested adoption of their 2nd child. the r house is a blog about all-things-adoption. "The greatest gift of the garden is the restoration of the five senses"
It is so clear to see when a garden is loved as this one is! Winter girl here as well - but my Phoenix winter only, nothing with wind or scary snow. I suppose then I'm a fall girl. Summer is awful for us. Side note - giveaway sounds fun, shoot me an email jeanette(at)evertonterrace.com. Oh I am so with you....give me fall and winter. I do not sweat attractively!! I love sweaters to!!! I have three drawers full of them. The fall is my favorite I love the smells and the colors. not complain about our sweltering heat! to a very special lady. Confession: I may be from Hawaii, but I LURV autumn - you described the cozy joys of colder weather perfectly! I am your newest follower-hope your day is blessed! I LOVE autumn as well, but I know that winter comes right after and it can be loooooong and cold! We're trying to soak up our outdoor time right now. I am definitely a spring girl but I do love Autumn! Sweet quote! WE are opposites, summer is my favorite season of the year. i totally used to think i was a summer gal, but since it's soo stinking hot out right now, i think i am more a spring or fall gal haha!